After the feature leaked a few days ago, Microsoft officially turns it on for everyone as part of the August update. 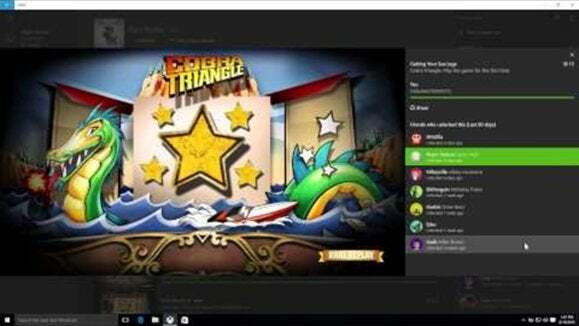 The hack that unlocked high-quality streaming from the Xbox One to a Windows 10 PC is a hack no longer—Microsoft has pushed it to the world at large as part of its August update. You can now stream games from your Xbox One to Windows 10 devices in HD quality at 1080p and 60 frames per second, Microsoft’s Larry Hyrb said in a blog post on Tuesday. All you’ll need to do is go into the Xbox app in Windows 10, go to Settings > Game Streaming and set the video encoding level to Very High. Enabling this, however, requires both an update to the Xbox One console itself as well as the Windows 10 PC’s Xbox app. To enable the high-def streaming, the Xbox app must be at version number 8.8.15003.00000 or higher. Note that otherwise, however, Microsoft has begun to blur the lines between the console itself and the Windows 10 app. In fact, Hyrb’s blog post doesn’t necessarily differentiate between the two. Why this matters: Before, the high-def streaming functionality required a registry hack. Now, it’s a menu option. Not everyone will have the high-speed home network required to support this, but as more and more of you buy high-speed routers, this option will become increasingly in demand. Other updates include the ability to compare achievements with a friend with a specific game; if you right-click a friend’s name, a list of options now appears, including the ability to invite him or her to a party. Microsoft also improved the way in which game info is displayed, adding a grid view to “My Games” as well as an animating display showing which games users have recently played. Users can also right-click to select a friend and enable a number of actions, such as asking them to join a party.